Choose wisely! The choice is yours and its an important one! 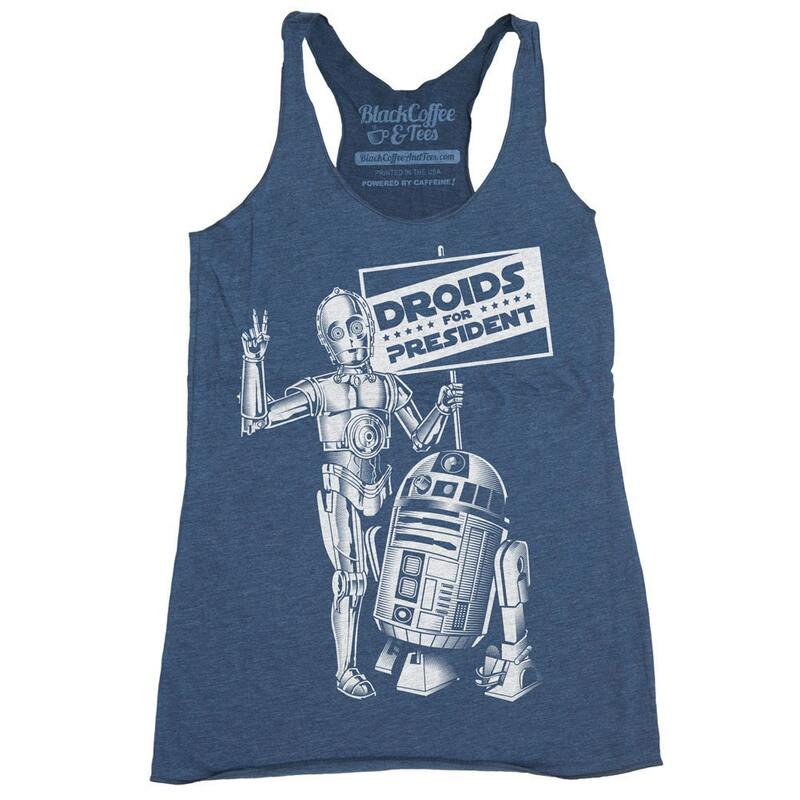 R2 2D and C-3PO for President! Help support the Droids campaign. Star Wars Shirt! 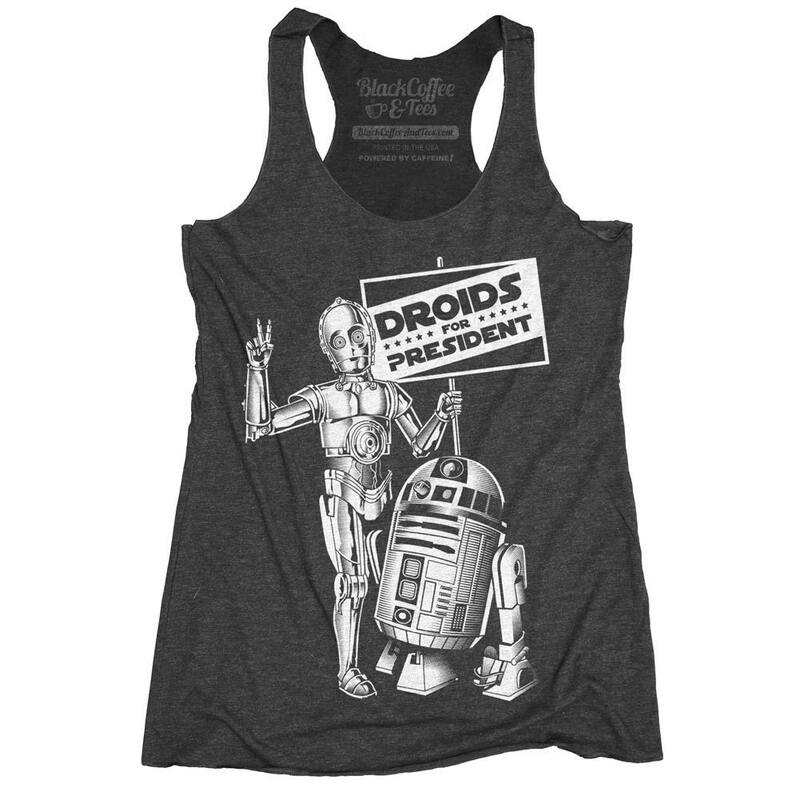 R2D2 and C3PO FOR PRESIDENT! 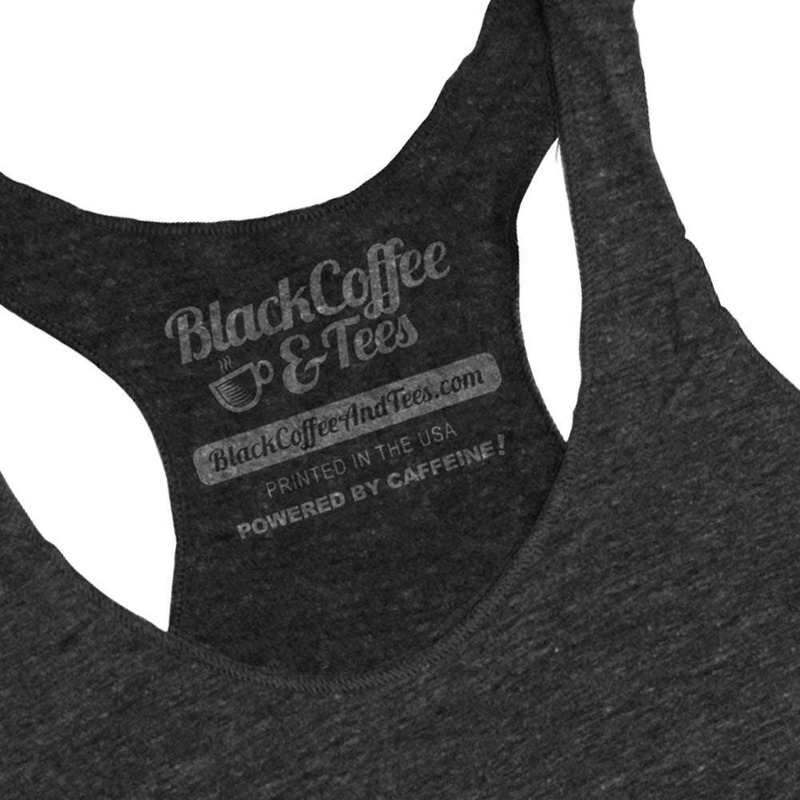 Hand Screen Printed Womens Tank Top. 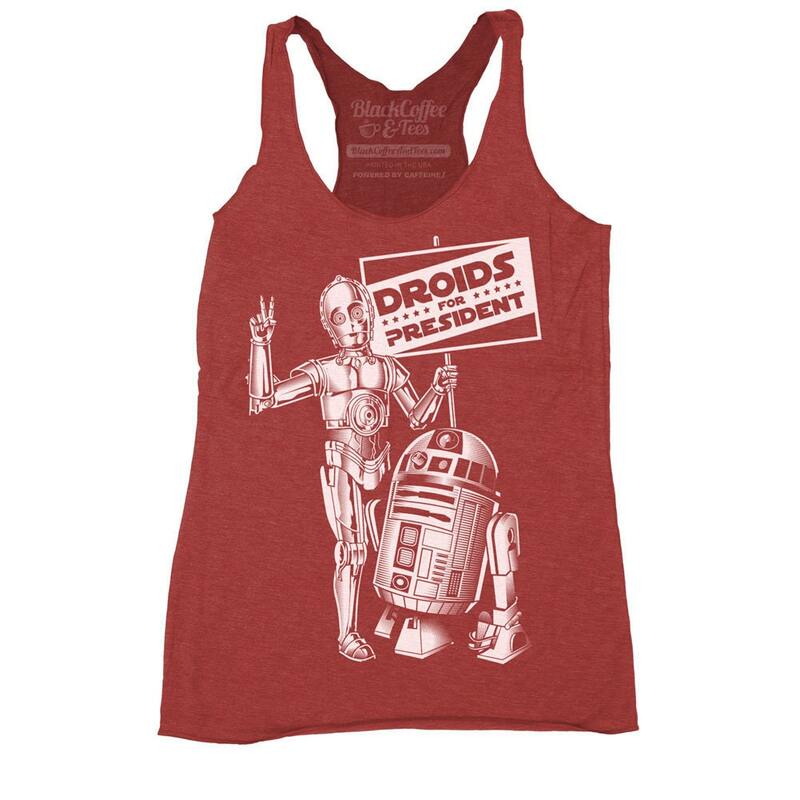 Droids for President! One of my favorite shops. My brother got me the vader/yoda tank and I had to get another! 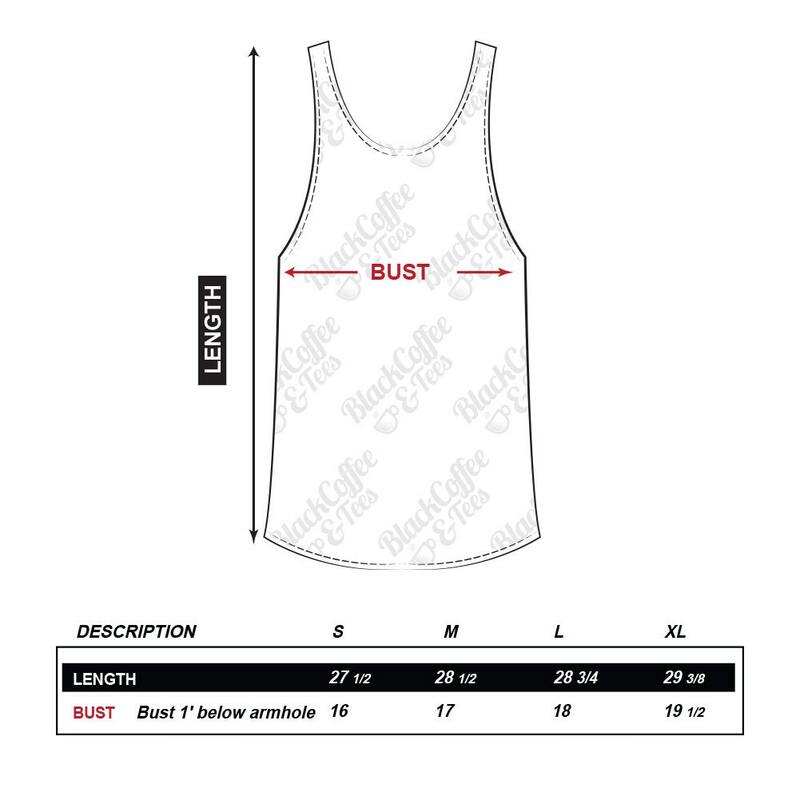 The shirts are so soft, great print, and fast shipping. Will be buying more.